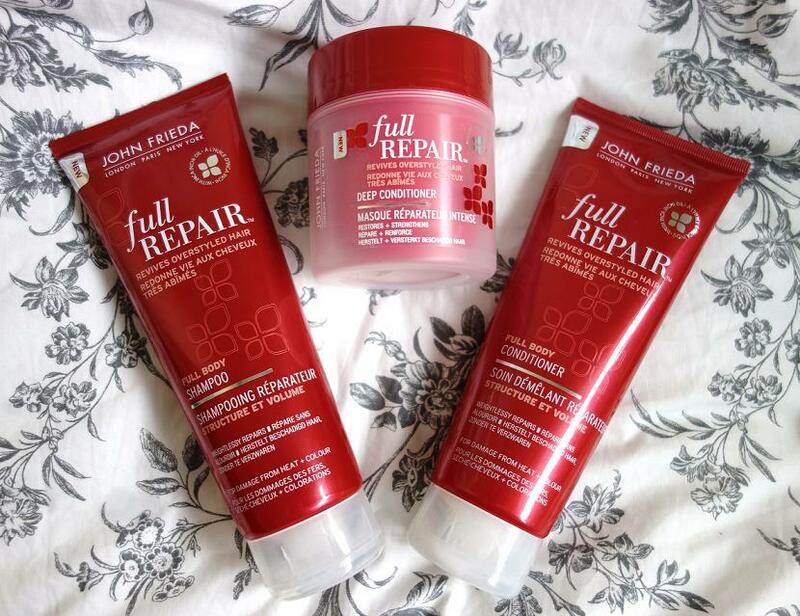 recently i was contacted to see if i would like to review a range from the ever expanding john frieda collection. having not used anything from them in quite a while, i was excited to see what products they were putting out there at the moment. 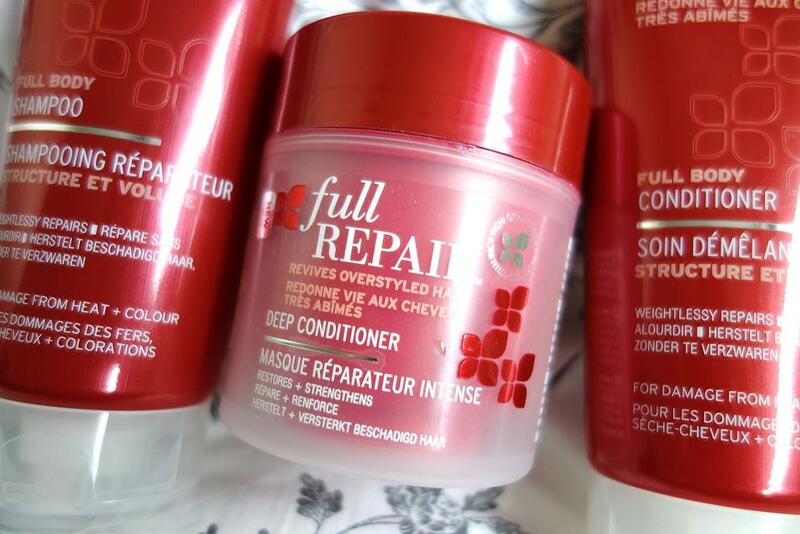 i described my hair type as ‘fine, normal/oily as i touch it a lot, but dry on the ends’ which resulted in me receiving the full repair range. i was skeptical at first, as these types of products are usually for those who have coloured or bleached hair (which i don’t) but after using them all several times i can confirm i had nothing to worry about! 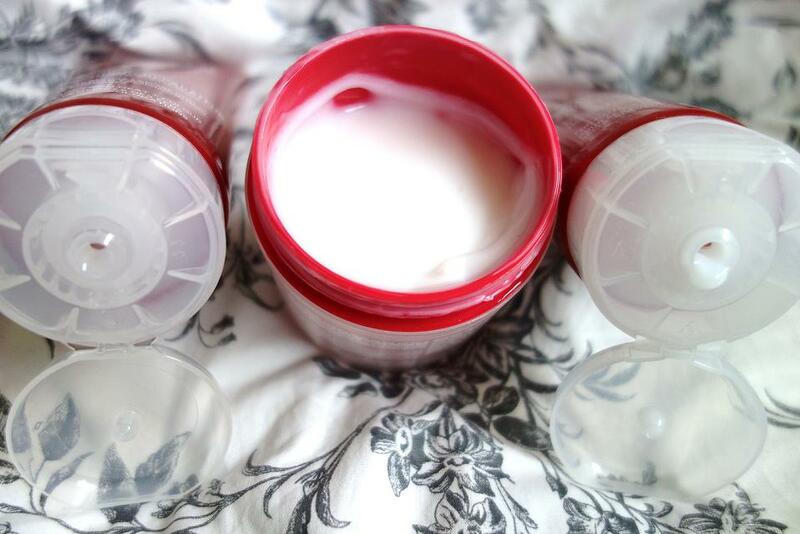 they’re just so nourishing and smell amazing (which stays in your hair too!). full repair full body shampoo: this lathers into a really soft, light foam (if you know what i mean) and really cleans your hair, without stripping it or making it seem a bit fragile. it’s quite a moisturising shampoo and i’ve found it to be simply lovely to use! i’ve actually looked forward to washing my hair this week, which is rare as it’s usually a chore for me since it’s so long! full repair full body conditioner: using this on the bottom third or so of my hair seems to have worked wonders for me. it’s quite a light conditioner, but it does seem to really nourish the hair and make it so soft. also, through using both the shampoo and conditioner, my hair has become so shiny! without sounding arrogant, it looks like glass when it’s in the sunshine which is a mega plus for me! full repair deep conditioner: normally with deep conditioners or treatments, i’ll use them on days i know i’m not going anywhere or washing my hair the next morning, as they usually weigh my hair down. this one did ever so slightly as my hair is quite fine, but that could be down to me not washing it out properly. my friends/parents said it didn’t look weighed down, so maybe it was just me being weird. though i will say it has left my hair soft, yet strong and manageable, as i hate those ones that make your hair a floppy mess that you can’t do anything with! so i’m still very impressed and will make sure i do an extra cold rinse next time. in conclusion: i’ve really enjoyed using this range, the condition of my hair seems to have improved in a short time and i can’t get over how shiny it is! i would definitely purchase these for myself. my mother, who has dry, dyed blonde hair said they’ve been a lovely treat on her hair too! so i think the collection works for a range of hair types, which is always a bonus! they do many other ranges, such as ones for specific hair colours, their famous frizz-ease and volume ranges. they also do hair dye! i’d really like to try their perfect ends deep infusion treatment next i think. oh, they also have a youtube channel too, which has lots of styling tips and things like that, so check it out! have you tried these? or any other range from john frieda? ps. make sure you’ve entered my giveaway to win 30 beauty products, you can here! oh and check out the lovely abbi’s blog this week for her latest posts (you’ll love them i promise), click here! *although these were sent to me for my consideration, opinions are aaaaaall mine baby. remember i’m not a ‘proper’ beauty blogger, so if i haven’t described something with the most technical terms i do apologise.